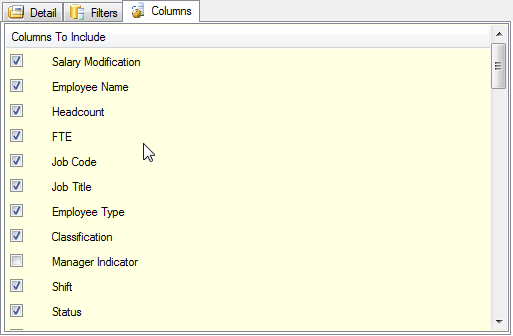 The columns tab allows you to select which columns to return to the QlikView document that were available in the view. By default all columns will be returned. To remove a specific column, simply deselect the desired column to be removed from the list.